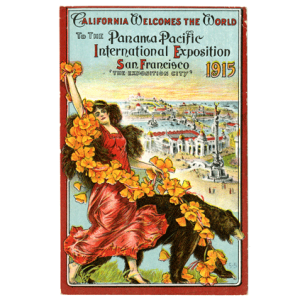 This “Whirlwind Tour of the Panama-Pacific International Exposition” will take the audience on an amazing tour of the Fair from its original concept in 1904 through its development and all the way to its gala opening in February 1915. We’ll peek inside the gorgeous exhibit “Palaces” for a look at just a few of the wonders therein, and finish with some of the attractions on the Joy Zone, the PPIE’s midway. Illustrated with dozens of amazing photos, lantern slides, postcards, souvenirs and panoramas, this Whirlwind Tour appeals to any audience with an interest in history. Laura Ackley holds graduate degrees in Architecture from Harvard University and the University of California at Berkeley. Her interest in the Panama Pacific International Exposition was captured by a Cultural Landscapes course during her undergraduate years. 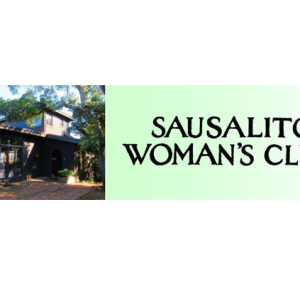 Laura has published a number of articles on the Bay Area special effects and animation industries and has taught 3D computer modeling and animation for more than a decade. She lives in Marin County with her husband Sander and Murphy, their Scottish Fold cat. 2015 marks the centennial year of the Panama-Pacific International Exposition, when host city San Francisco emerged from the ashes of earthquake and fire as a center of beauty and progress. This lavishly illustrated volume is as much a triumph as the fair itself. San Francisco’s Jewel City takes readers on an in-depth tour of the PPIE, revealing the dramas of constructing the fair and the displays of culture and industry that awaited within the exposition walls: electrical home appliances, rides in a homemade airplane, a world tour of twenty-one international pavilions, luminous radium crystals, and, of course, a model of the world-changing Panama Canal. Along the way, we meet famous (and infamous) visitors, such as Theodore Roosevelt, Helen Keller, Thomas Edison, and Buffalo Bill Cody. Historian Laura Ackley’s compelling text is unparalleled in its breadth of scope and richness of detail, providing social and political context for the fair and offering insight into its legacy today. This lecture will take us on a nighttime tour of San Francisco’s beautiful 1915 World’s Fair. 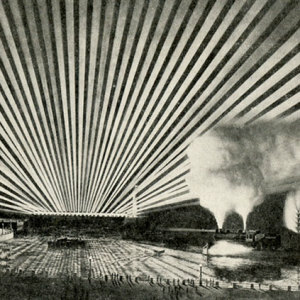 We will explore how Illuminating Engineer Walter D’Arcy Ryan implemented groundbreaking lighting effects like The Great Scintillator and The Electric Kaleidoscope in the face of tremendous skepticism. 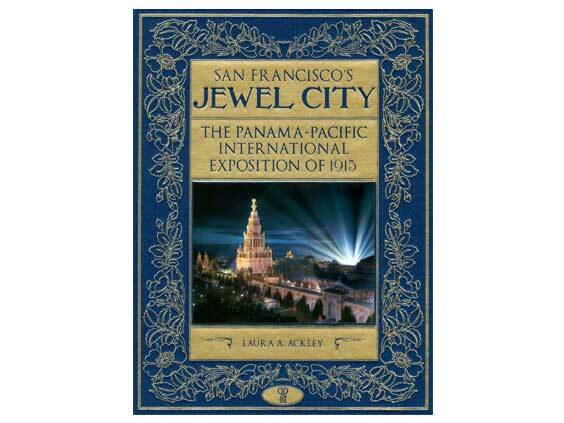 An illustrated talk by Laura Ackley, author of Jewel City and historian of the 1915 Panama-Pacific International Exposition. Hear fascinating tales of the fair with amazing photos. 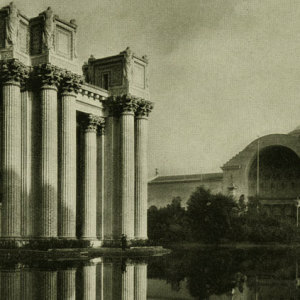 This year marks the centennial of the Panama-Pacific International Exposition, a world’s fair that historians say symbolized San Francisco’s transformation from a city devastated by earthquake and fire to an economic powerhouse poised to lead a social and cultural revolution.